We are proud to announce that Brea-Olinda Master Community Association has selected Tinnelly Law Group as their associations’ legal counsel. Brea-Olinda is a master planned community located in Brea. Residents enjoy beautiful open and wild spaces, lush landscapes, and a quiet family neighborhood rich in the Olinda Ranch oil history. 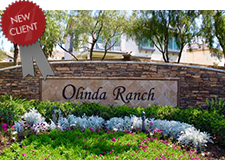 Our HOA attorneys and staff look forward to working with Brea-Olinda’s Board and management.